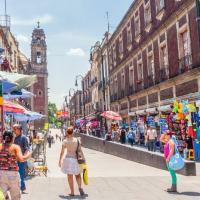 With a local ‘Chilango’ by your side, experience life in Mexico City like the locals do and immerse yourself in the city’s vibrant culture, diverse neighbourhoods and ancient heritage. See the most iconic sights as well as getting off the beaten path and discovering authentic hidden gems, discovering the city as you would if you were visiting a friend who lived there! Your experience will be personalised to what you’d most like to see and do, so ditch the guidebook and let a local show you the real CDMX! Finding the best, most authentic local cuisine and street food can be a challenge, so your Local Host will help you get acquainted with the street food culture and recommend extraordinary and unusual dishes, taking you to the eateries and street food markets where the locals really eat. Get to know your Local Host, and they’ll be able to suggest things to do and places to eat during the rest of your trip that they know you’ll love as well as sharing their favourite hidden gems with you. 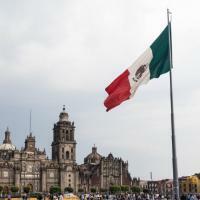 With a Local by your side, you’ll be able to go beyond the superficial and connect with Mexico City and its people, getting to know what truly makes the city unique. See the main attractions with the benefit of local knowledge, like the best times to avoid the crowds, but also explore off-the-beaten-path areas where the locals really live. All of our Local hosts speak English and Spanish, and with their guidance and tips what could feel like an intimidating city will feel like home in no time! 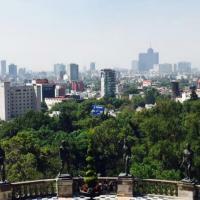 Perfect day in Mexico City! We used City Unscripted to book a custom 8 hour tour with Alejandro when we had a spare day on a recent trip to Mexico City. We weren't sure if 8 hours would be too long or not but it was just the right amount to hit everything we wanted to see plus all the extra fun stuff we didn't even know about. 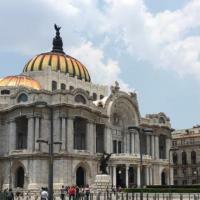 We were really impressed by Mexico City and found Alejandro to be an absolutely wonderful guide. We'd highly recommend him to anyone and we'll for sure consider using City Unscripted again in the future.